Important: this describes settings on the draftboard for mocks & live drafts. You may be looking for league scoring options. 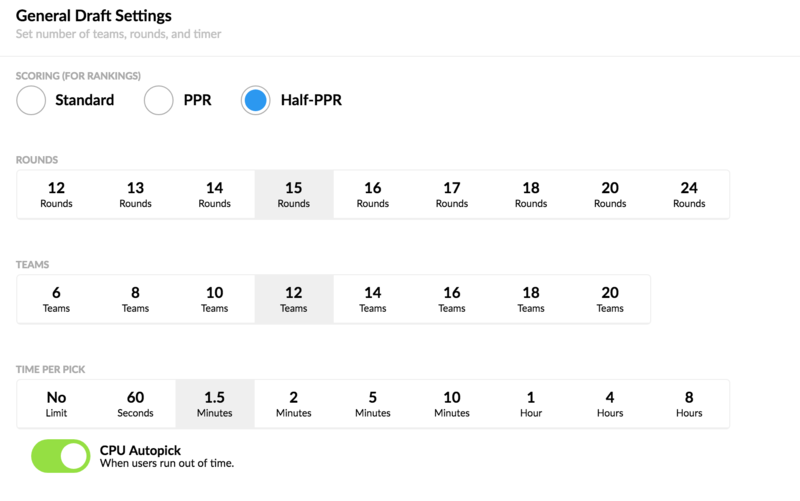 You can customize the scoring type, rounds, teams, and time per pick for your draftboard. 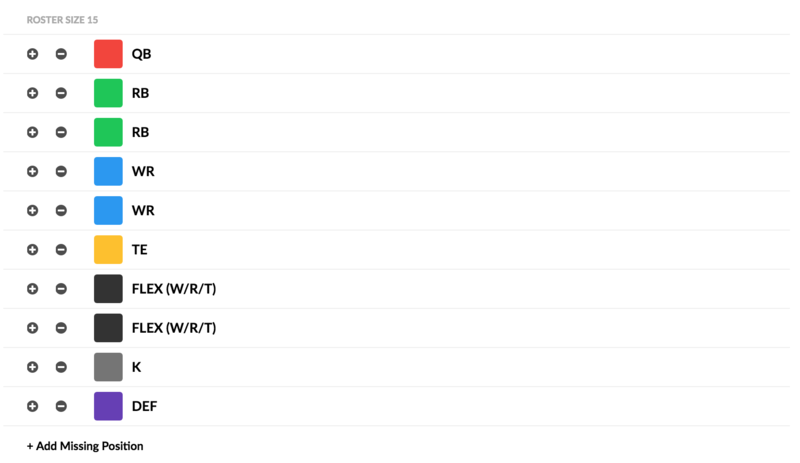 You can also choose between Rookie / Vet only draft options, as well as Snake vs Linear drafts. You can also customize the roster positions for your board, which determines how the rankings are sorted by default, as well as how the CPU autopicks. In addition, you may also change the draft order, turn on dark theme, and enable big screen mode to cast to your TV.